I'd never think I was one to like a bow... well, at least since my early adolescent years of sporting large bows while dangling from the monkey bars. Stumbling across this J.W. Anderson campaign has opened my mind up to endless opportunities to bring the bow back, but this time with a origami like fold. The bigger the better, they say! As seen on the runway for Pre-Fall 2015, the cinched waist is giving a suit or overcoat a ladylike 50s twist. 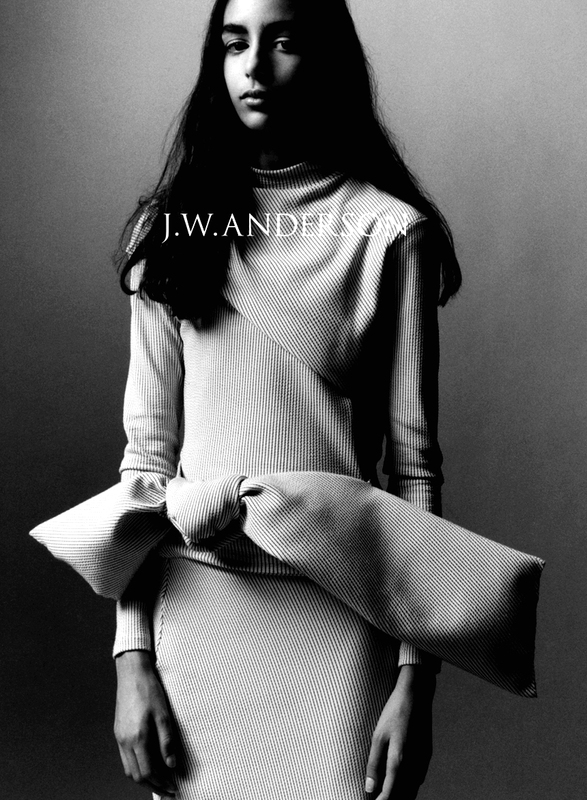 Instead of your classic knot, take note from J.W. and think geometric and sharp.